This one is the most common betting system used by players. The main idea of this system is that the player pockets every winning bet and doubles the size of the previous bet. By doing that the player has an opportunity to win back the loss and plus one unit. When the player loses 2 bets in one row, by doubling the bet one more time, he/ she will win one unit. This system of playing Roulette would work great with no betting limits and infinite bankroll. But, of course, most people would not play under such conditions. It would be better to play at the table with the minimum of $5 and the maximum of $500. Following this system, one would bet in such a way: $5, $10, $20, $40, $80 and so on. Many players wonder how is that possible to lose 7 spins. In fact, it happens more often than one thinks it will, approximately once on every 90 sequences. 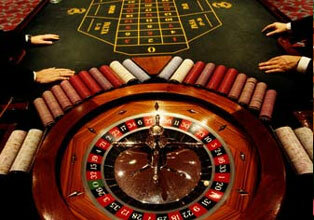 Ð•Ñ€Ñ‹ system is also remains popular among Roulette professional players. According to this system the player should subtract one chip from his/ her bet after the winning bet and add one chip after he/ she loses. The main idea of the d'Alembert system is that one has less chance to win after the winning and lose after the losing spin. The only defection this system has is that the wheel one is playing at has no memory; every spin and every number the Roulette ball is falling on is completely random and independent, and the odds are the same for every spin. So, these are the most well-known Roulette betting systems. Learn them and try to follow one of them when playing Roulette game.